Yvonne DeCarlo | 50 Westerns From The 50s. 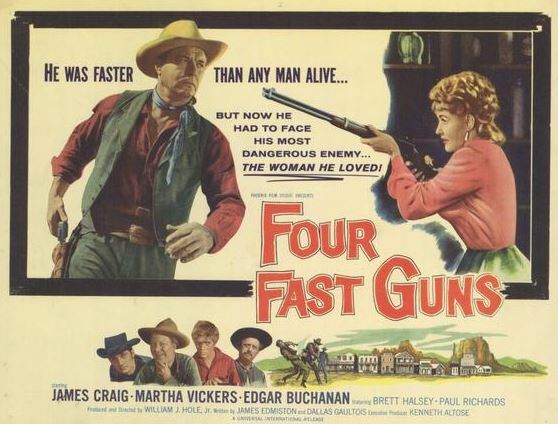 50s Westerns DVD News #146: Three From VCI. Three excellent little 50s Westerns, previously part of multi-disc sets, are now available as stand-alone discs from VCI and Kit Parker Films. All three are highly recommended. 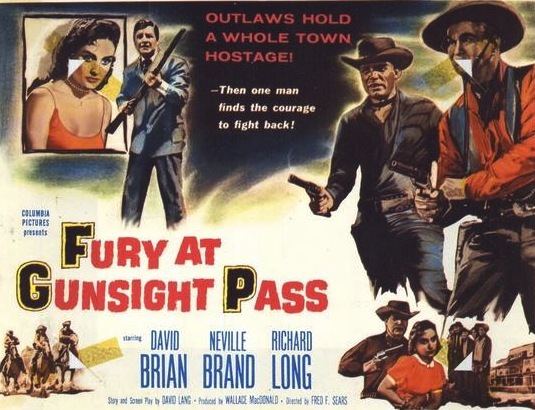 50s Westerns DVD News #116: Universal Classic Westerns. When The Daltons Rode (1940) George Marshall directs. Randolph Scott leads an incredible cast — Kay Francis, Brian Donlevy, Broderick Crawford, Andy Devine, George Bancroft, Edgar Buchanan. I prefer Scott with more age on him, but this picture has do much action, you don’t have time to care. Texas Rangers Ride Again (1940) A 67-minute Paramount Western — a sequel to their Texas Rangers (1936) — starring Ellen Drew, John Howard, Broderick Crawford and Anthony Quinn. The Spoilers (1942) John Wayne and Randolph Scott in the same movie. (Yet some people still wonder if there’s a higher power.) Marlene Dietrich and Harry Carey are in it, too. The climactic saloon brawl is terrific. The Virginian (1946) Joel McCrea is stunning Technicolor. 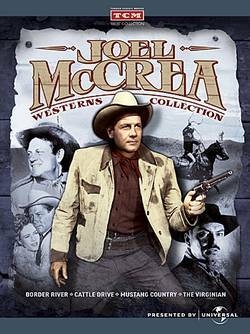 Universal’s getting a lot of mileage out of this one — it’s also available on DVD-R from the Universal Vault Series and as part of the Joel McCrea Westerns Collection. Albuquerque (1948) Ray Enright directs Randolph Scott again, this time in color and with Gabby Hayes, Scott Hayden and Lon Chaney on hand. Whispering Smith (1948) Any movie that has both William Demerest and Frank Faylen in its cast is worth seeking out. 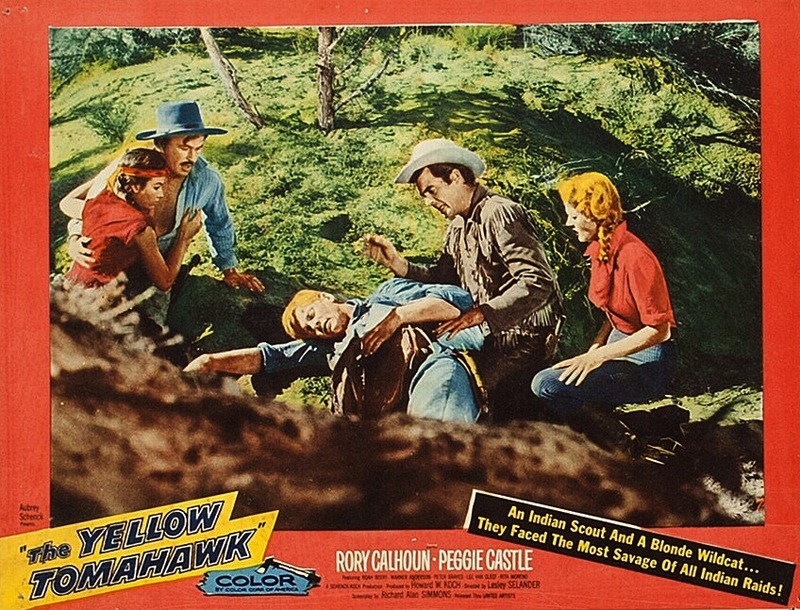 Comanche Territory (1950) The great, and unsung, George Sherman directs Maureen O’Hara and Macdonald Carey. Sierra (1950) Audie Murphy is joined by Wanda Hendryx, Burl Ives, Dean Jagger, Tony Curtis, Houseley Stevenson and James Arness. It was directed by Alfred E. Green, in Technicolor. Murphy and Hendryx were husband and wife at the time. Kansas Raiders (1950) Audie Murphy again,backed by Brian Donlevy, Marguerite Chapman, Scott Brady, Tony Curtis and Richard Arlen. Ray Enright directed. Tomahawk (1951) stars Van Helfin and Yvonne De Carlo and was directed by George Sherman. Also available as part of the Universal Vault Series, where this one film costs more than the set we’re looking at here. Do the math, order one today. By the way, its release date is Tuesday, March 12. Thanks to Mike for the tip. Since this blog began, I’ve developed a real appreciation for Rory Calhoun. Today is his birthday. He would’ve been 90. His string of medium-budgeted 50s Westerns, made for a variety of studios, are really underrated. 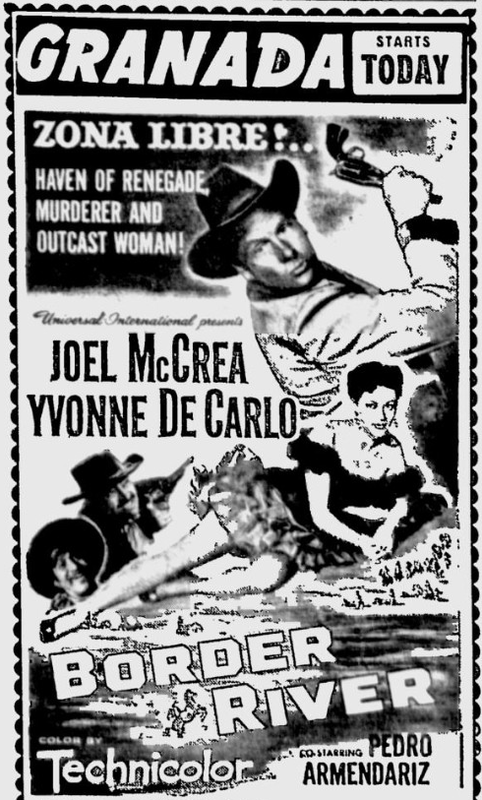 Some really stand out — two for Universal in 1956, Raw Edge (above with Yvonne De Carlo) and Red Sundown, are worth tracking down. He’s not very well represented on DVD, unfortunately. 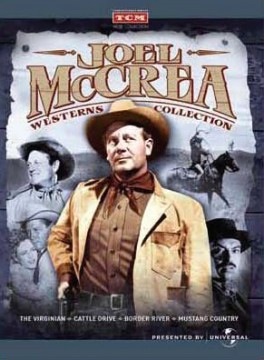 50s Westerns DVD News #67C: The Joel McCrea Westerns Collection. Just a reminder that we’re less than two weeks away from this terrific release (April 2) from the TCM Vault Collection (“presented by Universal”). The set includes: The Virginian (1946), Cattle Drive (1951), Border River (1954) and Mustang Country (1976, McCrea’s last film). 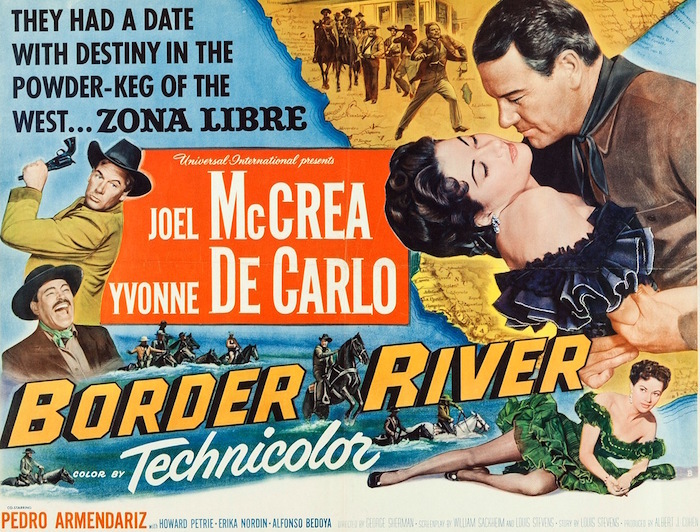 Any time a Universal-International 50s Western hits DVD is cause for celebration, but these McCreas are titles we’ve all been hoping and praying for. Border River is a real treat for us George Sherman fanatics out there. Now if Columbia would come through with Reprisal! (1956) and Universal with The Last Of The Fast Guns (1958). Judging from the packaging as seen on the TCM site these days (that’s it to the left), they’ve changed the front-and-center image of McCrea.